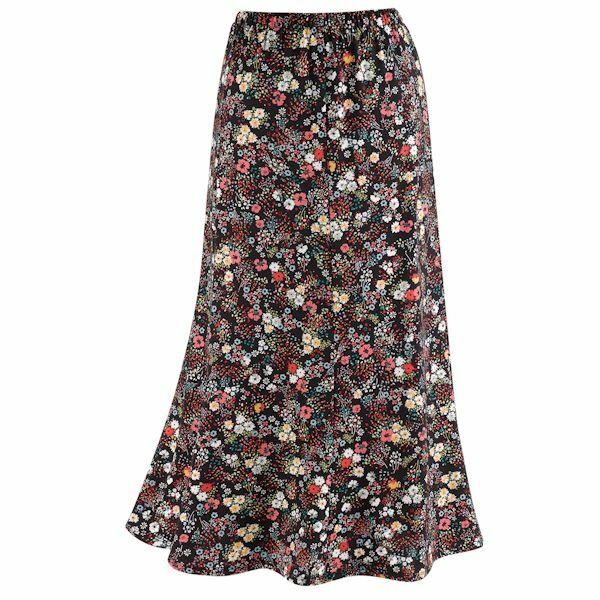 The essential skirt for any trip, in an easy-care, wrinkle-resistant, fabric. Elastic waist and discreet length. Machine wash. 96% polyester/4% spandex. Imported. S(6-8), M(10-12), L(14-16), XL(18), 1X(18W-20W), 2X(22W-24W), 3X(26W); 32"L.